Posted May 11, 2018 by sdrexler-admin & filed under Forged Documents. For a diehard sports fan, there’s no better gift than a piece of autographed memorabilia from their favorite athlete. Thanks to online marketplaces like eBay, it’s easier than ever to find autographed uniforms, balls and other equipment from some of the world’s most iconic sports figures. Unfortunately, however, the sports memorabilia market also harbors enormous potential for fraud. It’s very easy for scammers to find an image of an athlete’s signature online, copy it and apply it to a jersey or photograph. Sometimes, signed pieces of sports memorabilia come with “certificates of authenticity,” but even these can be forged with relative ease. If someone is willing to go to the trouble of forging an athlete’s signature, you can bet they won’t have any qualms about making a fake certificate as well. Last year, one such fraudster was taken into custody twice after being accused of operating a $10 million scheme that involved selling fake sports memorabilia to investors. He was first arrested in March, and then again in November when authorities found he was continuing to sell fake sports memorabilia even after taking a plea deal. Now, prosecutors are seeking a prison term of at least 11 years for his alleged crimes. So how can you avoid falling victim to one of these scams? As a general rule of thumb, if a deal seems too good to be true, it probably is. Be sure to take those certificates of authenticity with a grain of salt as well. Whenever possible, buy sports memorabilia from reputable dealers rather than individual vendors you find on the Internet. Even if a seller has positive reviews on eBay, it doesn’t necessarily mean their goods are authentic. 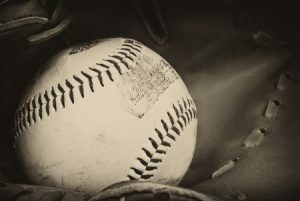 If you suspect you may have already purchased a fraudulent piece of sports memorabilia, you maybe be able to take legal action against the seller. First, however, you must obtain proof that the item was forged, and that the seller knew it was forged when they sold it to you. At Drexler Document Laboratory, our forgery experts can analyze autographed sports memorabilia to verify its authenticity once and for all. Give us a call or contact us online today to learn more.